Thank you for your testimonial Stephanie! 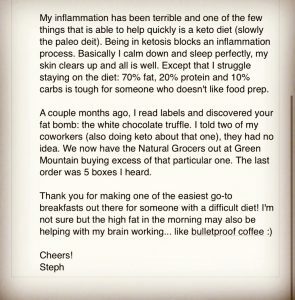 So glad our “fat bomb” white chocolate works for your Keto diet:) Hooray for good fats!! 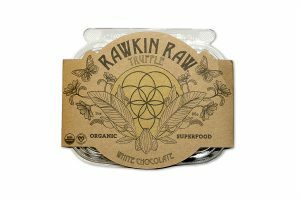 Check out our keto / paleo friendly White Chocolate truffles + our other healthy fat/ low glycemic energy snacks!